Jaylene, Sterling, and Alexander work for Canvasback Missions, Inc., an international nonprofit which runs health programs in the Micronesian islands. We realize that development, nonprofit, and charity work have fallen under critical eyes recently. Donors, practicing “intelligent giving”, are more conscious than ever of the organizations and projects they contribute to. Agencies with the sole purpose of evaluating nonprofits and charities have emerged. The conversation has evolved beyond the traditional concerns over fiscal responsibility. Now, it treads through the knotty realms of efficacy, sustainability, and morality. Where does religion play into nonprofit work? Should it? Could conventional forms of service and volunteering be more harmful than good? Where are we in the systems of power that govern this world? Can we ever escape our biases? The Canvasback Blog is our response to these issues. We have discussed these with our professors and friends and among ourselves, but there is value in moving the dialogue into the public sphere. This allows for foreign perspective, outsider commentary, and growth through discussion. We do not hold the answers; in fact, few issues are black and white and have a universal resolution. We are, however, willing to grapple with these matters. We have organized this broad conversation into the three topics you will find in our tabs above. The sections of Global Perspective, Action, and Faith each represent areas we find overarching in our work. Each of our writers has spent time wrestling with and being educated in these areas and has felt an emphasis in one of them. We invite you to join the conversation. Read, comment, question, and be a part of the discourse. 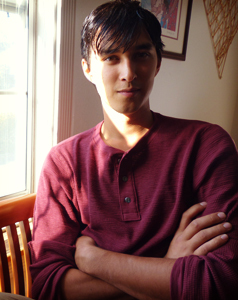 Alexander Hirata works as one of the head writers for Canvasback. He did his undergraduate work at La Sierra University in Creative Writing and worked as a student director for the university’s missions program. He currently is working his way through an M.A. program in International Studies at University of San Francisco. 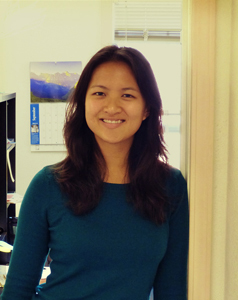 Jaylene Chung is the Special Project Director at Canvasback. She has an undergraduate degree in Biology from Pacific Union College and two master’s degrees from La Sierra University. The first is an MBA with an emphasis in Nonprofit Management and the second is a Master’s of Theological Studies. She has worked as a chaplain for PUC and a short term mission director for La Sierra. 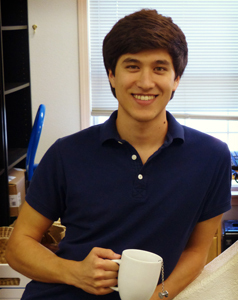 Sterling Spence is a Program Manager for Canvasback and has been involved in the mission for most of his life. He attended La Sierra University to obtain a B.A. in Management and B.A. in Religious Studies. He is currently beginning a Social Ethics program at the Graduate Theological Union in Berkeley with the Jesuit School of Theology emphasizing in nonprofit work.